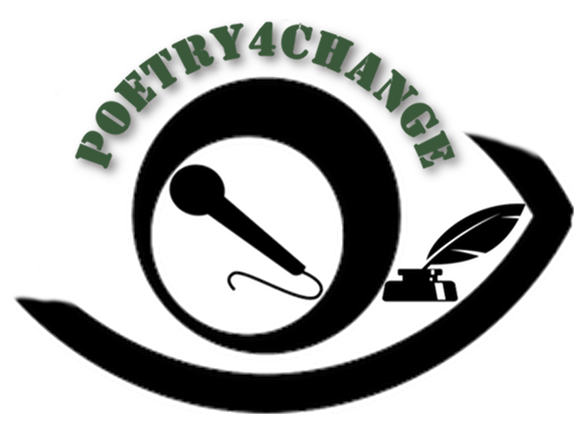 #POETRY4ChangeAfrica: “Last Words Mama Couldn’t Say” by Oluwasegun Romeo Oriogun | Juliet 'Kego's World of Floetry; Explore! Experience! Enjoy! 10. Never hit a woman. 11. The world will hate your tongue. 12. I’m sorry nobody taught you about such hatred. 13. Let me tell you a story. 14. The night your father met me someone has just called me incomplete. 15. I searched for something to complete me. 16. Your father found me searching for another name. 17. He took my name and gave me hot coals. 18. I spent all my days searching for the name he took. 19. He said a woman is a mass of bones. 20. He said shut up whore a hundred times a day. 21. My voice made love to every man I met. 22. It’s the way I was taught to survive. 23. Your father damaged something inside of me. 24. All the men I’ve ever met called me a different name. 25. I don’t know my name. 26. They all left with a part of me. 27. The last time I saw a part of me she was weeping at the market. 28. What did you learn from my words? 29. You are more than broken roads. 30. There’s something beautiful beneath your sadness. 31. Tell your sister the world will first come with smiles. 32. Before they reach into her heart. 33. Before they take what’s not their’s. 34. My words will always follow you. 35. Remember you are you. 37. I’m telling you because your roads won’t be easy. 38. Your scars won’t be beautiful. 39. An orphan is a fallen orange left to rotten. 40. Let your seeds sprout good trees. 41. The world likes a success story. 42. They don’t like failures because they remind them of what they can easily become. 43. My body feels like death. 44. I wonder if God will allow all the broken women into heaven. 45. Will he keep us waiting while he attends to the men? 46. Will he forgive us of our sins because of the fallen horses crying in our hearts? 47. Is heaven a boys club? 48. Son, have you seen a female angel? 51. My mouth can’t pray no more. 52. I found my last prayer hiding in the roof. 53. Was suffering meant to be this long? 54. I’m scared of leaving you. 55. I’m scared. Of dying. 56. No one can protect you forever. 57. Learn to be strong. 59. Do not forget that. 60. You were always the lonely one. 61. The one with too much questions. 62. I’m scared your questions won’t find you a home. 63. I’m scared they will keep you awake at night. 64. I won’t be here to comfort you. 66. I’m sorry I’m dying. 67. I just saw someone I knew. 68. Son, she said she’s cooking. 69. Her face is swollen with bruises. 70. I guess heaven is not different. 71. I hope there’s a court there. 72. I hope when I get divorced no one will call me a witch. 73. I hope no one will say I’m half-a-woman because my surname is my maiden name. 74. I hope no one will question my womanhood because of my status. 75. Son, is there freedom in hell? 75. Do you think they will check my gender? 76. I want to be free in death. 77. I want to be free. 81. Learn to love son. (c) Oluwasegun Romeo Oriogun. 2015 (All rights reserved). WOW…WOW…These are words swirl my ocean like tides,that boils my emotion like coals and that chill my spine like ice! i love this poet,every words sink into my heart smoothly like a fallen needle into water.